Or not. It depends on how you see things, of course, but it looks like Google is not going to leave the tablet market alone. During the Google I/O conference held in San Francisco yesterday, the tech giant showed proof that it has something to say when it comes to tablet computers. While it may not be taking on the iPad (smart! ), it certainly seems to be saying something to Kindle. 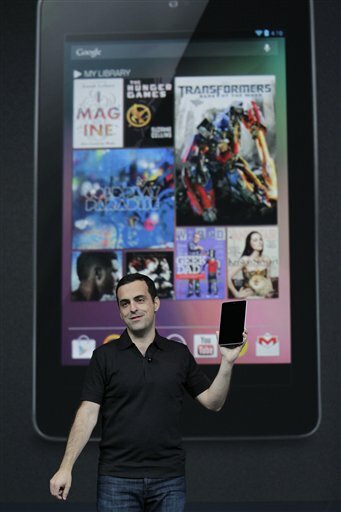 Dubbed Nexus 7, Google’s tablet is mainly all about integration with Google Play. Think movies, music, books, and other apps. That sounds pretty good, but I honestly don’t know how that will fly. In any case, with its specs and pricing, it really looks like the Nexus 7 is something that Amazon, the maker of Kindle, should not totally disregard. The Nexus 7 measures in at 7 inches (screen size), just as the Kindle Fire does. It is lighter at 0.75 pounds (that’s 0.34 kilos). As for the price, the Nexus 7 is priced the same as the Kindle Fire at $199. What gives the Nexus 7an edge over the Kindle Fire is that it has more features. For one, it has a front camera, which I really think should not matter when it comes to tablets, but that could just be me. I am pretty sure that iPad users will not spend more than a second thinking about the Nexus 7, but those who are in the market for a non-Apple tablet just might have a very good alternative here. And here’s good news for those who are not exactly the best in the patience department: the Nexus 7 will be shipping starting mid-July. Not too long to wait now!